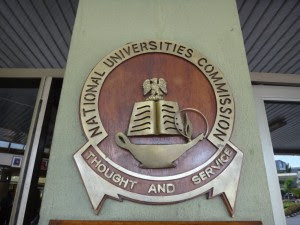 NEW: List of Illegal Universities in Nigeria by NUC - 2018 ~ The Big Thing In Town!!! United Nigeria University College, Okija, Anambra State or any of :i ts other campuses. Samuel Ahmadu University, Makurdi, Benue State or any of its other campuses. London External Studies UK operating any where in Nigeria. Bolta University College A ba or any of its campuses in Ni geria. Andrews University College, .Abuja or any of its campuses in Nigeria. University of Accountancy and Management Studies, Mowe, Lagos – Ibadan Expressway and its Annex at 41, Ikorodu Road, J agos. African University Cooperative Development (AUCD), Cotonou, Benin Republic, operating anywhere in Nigeria. Pacific Western University, Denver, Colorado, Owerri Study Centre. West African Union University, in Collaboration with International Professional College of Administration, Science and Technology Nigeria, operating anywhere in Nigeria.